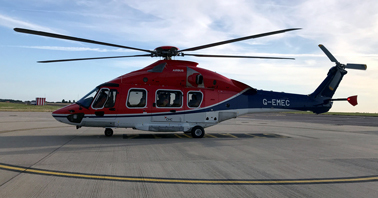 ABERDEEN, UK -- Earlier this month Neptune Energy and CHC Helicopter celebrated the inaugural flight from Norwich, with the H175 to the Cygnus A and Cygnus B installations in the Southern North Sea as part of a new 22-month contract with multiple extension options. CHC’s third H175 entered service in late April. These agreements reflect CHC’s expertise in supporting the global oil and gas sector, whilst showing customers our evolving services and technology that can best fit their needs.